Mission SX1 review | What Hi-Fi? Mission was once dominant in our speaker tests, earning a truck-load of five-star reviews, Group Test wins and Awards. Recently the story hasn’t been so positive. The budget MX range has had success, but the company has struggled to really make a mark above that level. The new SX range represents a determined effort to change all that. identify it as a Mission product. While curved cabinet panels are no longer big news at this price, they still lend these speakers a touch of visual elegance most square-sided rivals lack. Build quality is equally persuasive – the cabinet feels solid, its edges are neat, and the veneer is applied with care. Mission has moved to an all-metal drive unit layout with the SX range. This standmounter features a 13cm aluminium mid/bass driver coupled to a 25mm titanium dome tweeter. This tweeter is mounted compliantly to reduce any adverse sonic effects caused by the vibrations from the larger drive unit. The SX1s are impressive. They sound really fast, responding to every sonic transient with precision. Mission has got the integration between the drive units spot on, and there’s a commonality of character between the two drivers that gives the speakers a really cohesive and seamless sound throughout the frequency range. Give Drake’s Take Care set a spin and the SX1s deliver an insightful performance. They’re composed when the production gets dense and cope with relatively high volume levels with a great deal of grace. Fans of Mission won’t be surprised to know that the tonal balance is a touch forward, with the emphasis on agility rather than authority. Consequently, The Dark Knight Rises OST is delivered in a very crisp and precise manner, but lacks the full dose of menace and scale. But, at just 31cm high, these are small speakers, so we’re willing to accept that. We’re more fussed, however, about the Missions’ shortfall in low-level dynamics – the kind that communicate the emotion in Johnny Cash’s deep and soulful voice on his version of Bonnie ‘Prince’ Billy’s I See a Darkness. We could do with a little more natural warmth in the sound, too. 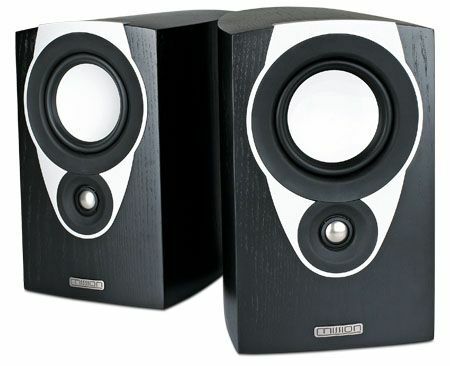 Mission SX1: VerdictAs it is, these speakers sound a little bit too matter-of-fact to us, favouring a clinical and cool analysis over communicating the emotion, depth and enthusiasm of the music. These speakers are a definite step in the right direction for the brand, but Mission still has a little way to go before past glories are recaptured.